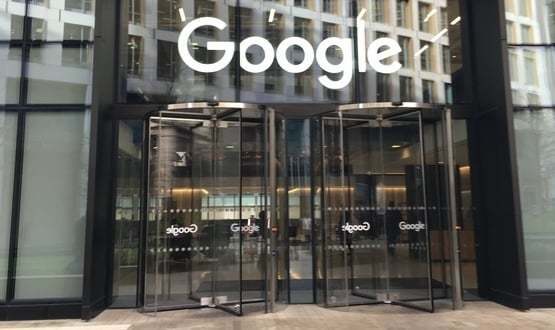 Surrounded by glass, transparent lifts and pop music, the atrium at Google’s London headquarters is a world removed from the hectic chaos of an NHS hospital. However, more than anywhere, the King’s Cross building is where the NHS and big Silicon Valley tech are coming together. It is home of DeepMind Health, a company with grandiose plans for the UK’s national health service. In less than two years, Google’s artificial intelligence off-shoot, bought in 2014, has built an NHS beachhead with a handful of acute hospitals, mostly through its clinical alert app, Streams. Since launching DeepMind Health in February 2016, the company has deployed its acute kidney injury (AKI) alerting app, Streams, at the Royal Free London NHS Foundation Trust, and, earlier this year, signed up Imperial College Healthcare NHS Trust for a similar deal. The company also has artificial research partnerships with two other London NHS trusts. But it’s been a rocky start for DeepMind’s NHS adventure, with its deal with Royal Free marred by privacy concerns, data access issues and an ongoing ICO investigation. 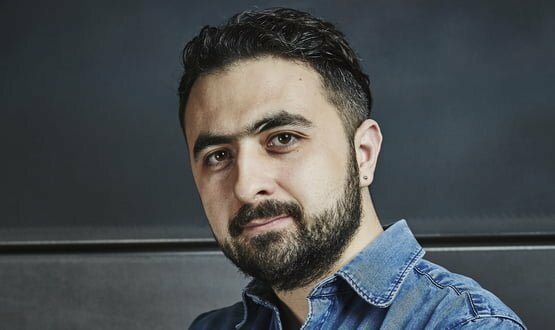 Mustafa Suleyman, the co-founder and head of applied AI at DeepMind, says the company has a big future in the NHS, one that goes way beyond apps and few research partnerships. Dressed in the de rigeur hoodie of a successful start-up entrepreneur, Suleyman, says that DeepMind “wouldn’t be in this if we didn’t believe that in 10 years time we could radically transform healthcare”. DeepMind have four trusts on its books currently, but Suleyman said “there’s not many trusts that we haven’t spoken to”. Google DeepMind’s office in King’s Cross, London. One of the criticisms leveled at DeepMind is why an AI company was building an app that doesn’t use AI. Digital tools that alerting clinician to a potential acute kidney injury are nothing new. Patientrack developed a similar product with Western Sussex Hospitals NHS Foundation Trust last year. Royal Liverpool and Broadgreen University Hospitals NHS Trust and iSoft were testing an “e-AKI system” in 2012. Donald Kennedy, managing director of Patientrack, says DeepMind is bringing new ideas but it would nice if his company’s own work received the same attention. “Much of the Deepmind Streams initiative is something that Patientrack is doing every day already with many hospitals”. Suleyman says that the partnership with the partnership with Royal Free arose during a coffee with Chris Laing, associate medical director at the trust. Streams, Suleyman explains, is the first stepping towards building an NHS digital platform that can handle a wide range of DeepMind’s products, such as artificial intelligence. DeepMind’s rapidly growing partnership with the NHS may come down to pricing as much as technology. For now, Deepmind is foregoing standard reimbursement in its deal with Royal Free. That offer can look enticing to a financially stretched trust struggling to find the millions of pounds needed to digitalise. But a DeepMind spokesperson confirmed that while Royal Free is only paying a minimal amount to the company for the technology, this is a time limited offer. Suleyman says that when the latest five year agreement with Royal Free lapses in 2021, “I’d expect the prices to default to market rate and the Royal Free expect that too”. He also wants to move towards outcome based payment over the next five years, and described it as “one of the most significant systematic positive impacts we could have”. That could mean a lot of trusts buying into DeepMind, and several have already disclosed they are in “talks” with the company, could end up paying more down the road. The intersection between DeepMind’s corporate ambitions, imagined or otherwise, and its handling of NHS patient data has been the area of most intense public scrutiny and concern. In April last year, The New Scientist got hold of the information sharing agreement between the Royal Free and DeepMind. 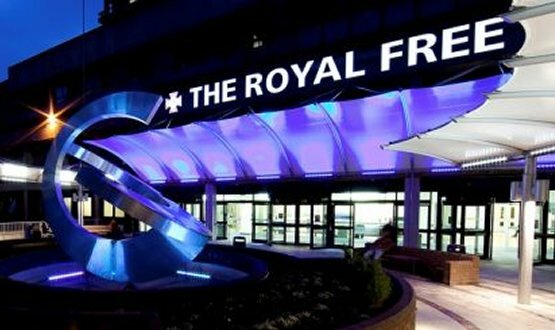 It reported that Royal Free had made five years’ worth of data, covering 1.6m patients available to DeepMind to develop Streams. None of the patients involved were informed of this sharing and most had never had an acute kidney injury. The reports generated a public outcry and the Information Commissioner’s Office, assisted by the National Data Guardian, is still investigating the deal. Royal Free Hospital, where DeepMind’s Streams app is being used to detect Acute Kidney Injuries. An academic study into the agreement, published Thursday, reignited the debate by claiming “the failure on both sides to engage in any conversation with patients and citizens is inexcusable”. Before the paper was published, Suleyman was also clear that DeepMind is the data processor, not the data controller, and so “we’re completely at the mercy and direction” of the Royal Free. The trust “tells us how much data we should process, there is nothing else that we’re allowed to do with that data other than what they have told us to do”. However, DeepMind’s public assurances have not convinced everyone. Privacy campaign group, MedConfidential was scathing when Royal Free and DeepMind sent a press release last month, touting the time saving benefits of the Streams partnership with Royal Free. The argument around the Royal Free deal centres on the definition of “direct care”, for which sharing patient data is justified and consent is not required. DeepMind insists its deal with Royal Free comes under direct care and was no different from information stored on many clinical systems provided by private supplier. But MedConfidential, and others, says the information collected was clearly excessive. When pushed on how the public would be assured that its sensitive data was safe, Suleyman replied, “first there is the law”. He also points out that DeepMind’s service agreements with the NHS are published online and overseen by a panel of independent reviewers. The independent panel, has yet to publish its findings, although its chairman, Julian Huppert, told Digital Health News a report would be out shortly. Suleyman says he “can’t think of anyone else in the industry” who publishes their contracts online. The inference is, contrary to its critic’s claims, that DeepMind is not just transparent, but more transparent than most. 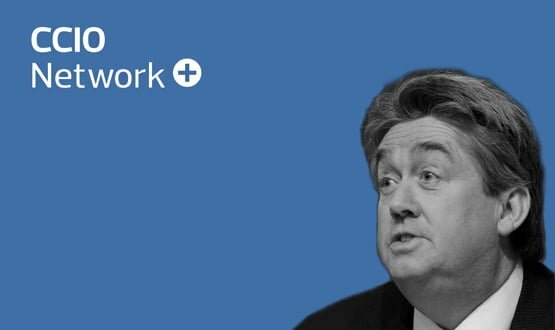 In a further attempt to counter transparency fears and also demonstrate clinical benefit, earlier this month DeepMind announced it was planning to create an audit trail infrastructure. “This kind of infrastructure shifts it from being a vague abstract soup to transparent verifiable auditable descriptions of clinical benefit or clinical activity”, said Suleyman. The project was met with scepticism in some quarters. Reporting the news, Tech Crunch said “building an audit infrastructure after you’ve already gained access to data does not satisfy legal or privacy experts. And such a topsy-turvy trust trajectory may be unlikely to impress patients either”. Google, what’s in a name? DeepMind speaks softly about its parent company, the tech behemoth with a business model built on monetising personal data. Any mention of Google is hidden away on DeepMind’s website, notably absent from any press releases or promotion material. Google’s name can be blessing and a curse, giving DeepMind incredible brand recognition but also the associated whiff of online privacy fears and, of course, media scrutiny. Other NHS IT suppliers that Digital Health News spoke to for this story, appear to view DeepMind with a mixture of excitement and caution. Mike Fuller, marketing director of InterSystems, said there is both “great potential and great concern”. Geoff Segal, general manager of Cerner for UK and Ireland, said “we believe they will be a positive influence on new ways of engaging healthcare providers and consumers alike”. Despite the physical transparency at the office’s building and Suleyman’s protestations, there remains unease that all is not out in the open. The Royal Free has stuck to its guns despite the barrage of headlines, and Steams has been described in a statement by Sarah Stanley, a consultant nurse at the trust, as “saving us a substantial amount of time every day”. Technology that saves nurses, or anyone in the NHS, time is sorely needed and should be supported. For trusts under huge financial pressure, the attraction of immediately beneficial technology at discount rate can be hard to resist. DeepMind’s is betting that few of them will. As long as the information is anonymised to Google or anyone else and cannot be used in any way for sales and marketing or for limiting access to insurance etc then I have no problem with this. The potential benefit to medical science and therefore patients now and in the future is huge. There does need to be a way for the NHS to map back to a cohort of patients so that things like target drug trials can be offered, or information on new treatment plans made available in a targeted way. Mining data in the NHS is not new. Several criminal doctors and pharmacists have been caught defrauding the NHS through modelling prescribing and dispensing patterns saving the NHS money. Monitoring the outcomes for patients shows spikes where service is poor and needs to be investigated this potentially saves patients lives. We need more of this type of innovation if the NHS is to not only survive but move forward. Furthermore, with “implied consent” the consent was always limited to information relevant to the purpose of the sharing: e.g. referral for an orthopadic problem probably wouldn’t include a gynacology history.